Calm Down, Korea does not always refer to a nuclear bomb. Take a deep breath and do whatever it takes to believe that Southern Part of Korea also has beautiful places to visit like in any other country. For most of you, differentiating between N. Korea and S. Korea might be a herculean task but it’s not that difficult, look for a pro tip in the end. Just Remember here we are talking about South Korea, that part of Korea which is NOT associated with Nuclear bombs and Kim Jong Un. While One part is expected to be one of the dominating countries in coming years, one of the largest Economies in the world, applauded for its shift from poor to a rich country in less than a generation The North is still trying to strike Washington with a nuclear Bomb. “Gyeongbokgung” literally translating to a place where the new king can enjoy the prosperity and blessings. It was the first palace built during the Joseon Dynasty. The palace is unique for its vast area and harmony of buildings and is the only palace to have all four major gates still remaining to this day. The Royal Guard Changing Ceremony will mesmerize you and make you fall in love with this palace even before entering the palace. The premises were once destroyed by fire during the Imjin War (Japanese Invasions, 1592-1598).Within the palace grounds, you can see a multitude of restored buildings each serving a unique purpose. Namiseom Island (남이섬 종합휴양지)- You love Peace ? An hour drive from Seoul towards Chuncheon will lead you to a hilltop, sorry, an island. Initially, an hilltop later became an island after the construction of Cheongpyeong Dam. This half-moon shaped Island is a perfect place for couples and families. One may be surprised to note that no telephone wires are not visible on this island as all are underground to ensure the beauty of the island remains intact. Lotte World (롯데월드)- Roller Coaster Ride ? If you are looking for a fun place to spend a whole day, check out Lotte World! This amusement park is open all year round, filled with dynamic events and performances. The park is largely divided into two areas: Adventure located indoors, and the outdoor section of Magic Island. The adventure includes a plethora of attractions, including a carousel, Spanish pirate ship, flume ride and more, while Magic Island has big thrill rides like the Gyro Drop and Gyro Spin. Lotte World Tower Seoul Sky and Lotte World Shopping Mall are located nearby so make sure to take a look around while you’re here. Surrounded by Gyeongbokgung Palace, Changdeokgung Palace and Jongmyo Shrine, Bukchon Hanok Village is home to hundreds of traditional houses, called “hanok”, that date back to the Joseon Dynasty. 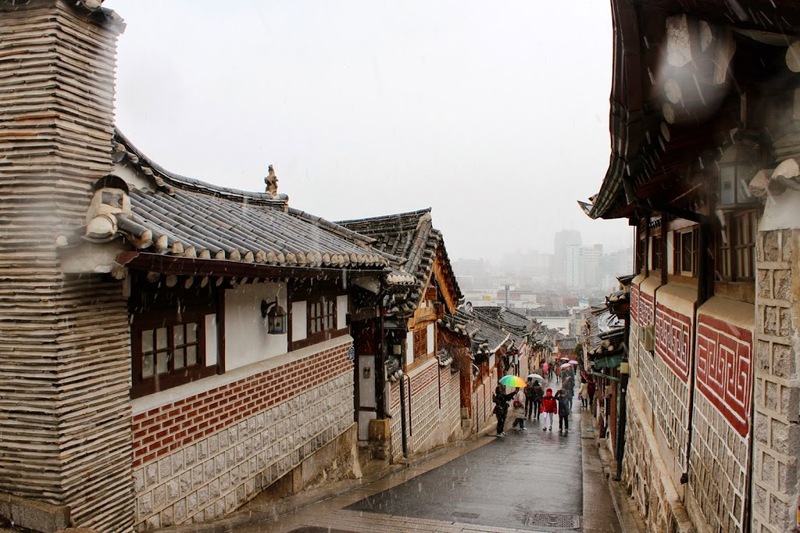 The name Bukchon, which literally translates to “northern village,” came about as the neighborhood lies north of two significant Seoul landmarks, Cheonggyecheon Stream and Jongno. Today, many of these hanoks operate as cultural centers, guesthouses, restaurants and tea houses, providing visitors with an opportunity to experience, learn and immerse themselves in traditional Korean culture. Apart from these five must visits there are many more such places. N. Korea has something in store for everybody – children, couples and the elderly. The history and the division of North and South Korea across the 38th Parallel is also an interesting read. Apart from these beautiful places, there is a high probability that the phone you are using or the car you are driving is designed/manufactured by our distant friend. 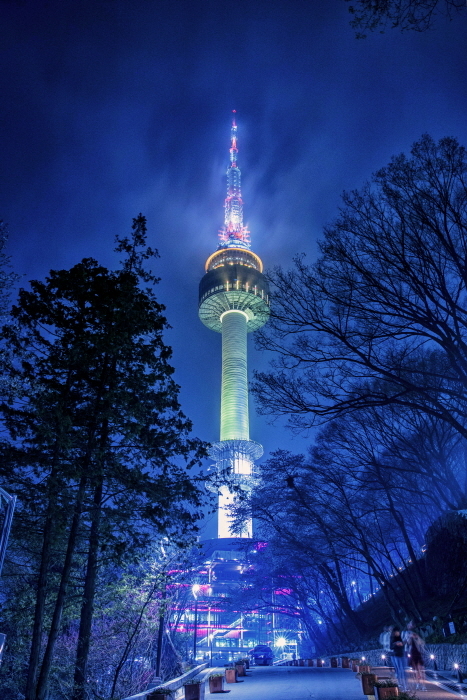 South Korea is also a home to companies Like Samsung and Hyundai. So, while telling your friends about this article how do remember which part of Korea it is? Just Remember South Korea has Samsung and North Korea has Nuclear Bomb.